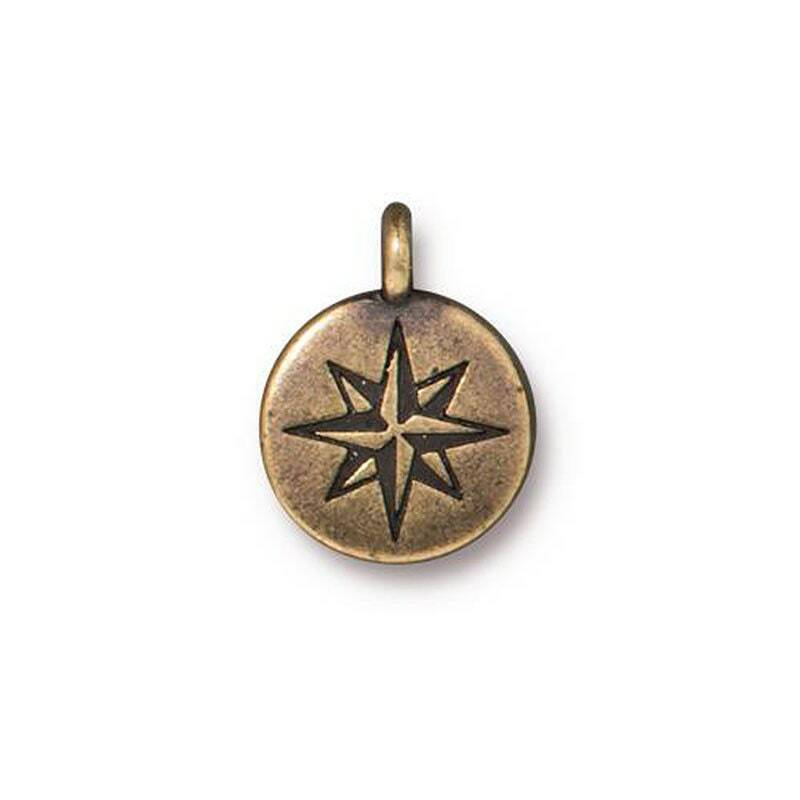 North Star drop charm from Tierra Cast. You will receive one charm. Double sided.